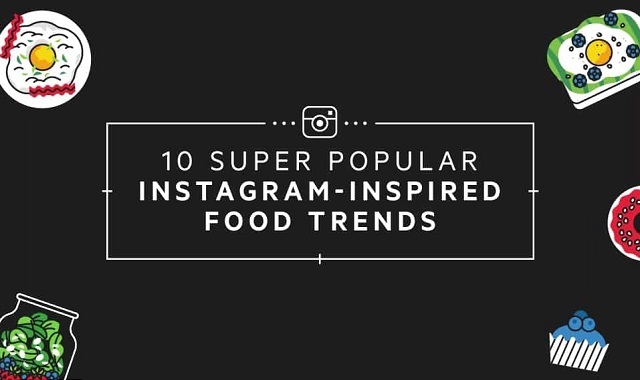 10 Super Popular Instagram-Inspired Food Trends #infographic ~ Visualistan '+g+"
It’s impossible to scroll through Instagram without stumbling upon dozens of drool-worthy food photos. Thanks to the platform’s FOMO-inducing ways, Instagram is also responsible for popularizing some of the biggest food trends to grace blogs and magazines, restaurant menus, and home kitchens around the world. Here are 10 whacky food trends brought to us by Instagram users.